Toomey was joined by Senator Ben Sasse (R-NE), who also filibustered with the Democrats. Toomey is being lobbied by Michael Bloomberg-funded Everytown for Gun Safety, which “wants Congress to give the FBI authority to block gun sales to suspected terrorists.” Suspected terrorists are already named in the terror watchlist and they are already denied the ability to pass a background check and acquire a firearm. Suspected Orlando attacker Omar Mateen was not on a watchlist and had no criminal record, so there was nothing to prevent him from passing a background check. 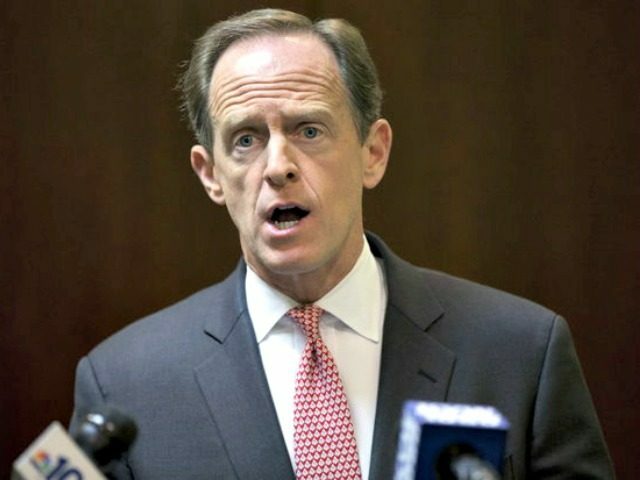 In 2013 Senator Toomey joined with gun control Senator Joe Manchin (D-WV) in an effort to expand background checks to cover every gun sale–whether retail or private. They did this in response to the heinous attack on Sandy Hook. That attack occurred after Adam Lanza stole his guns and killed his mother, before going to the school to kill others. Even as the push for more gun control was ongoing, Manchin admitted the bill he and Toomey sponsored would not have prevented the attack on Sandy Hook.